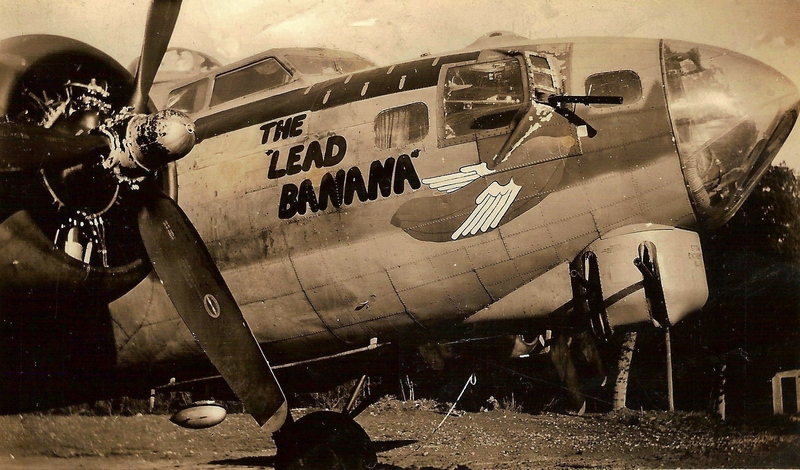 Eight days after the mid-air collision between the Lazy Daisy and Lead Banana, a Report on Captured Aircraft dated October 6, 1944 reported the fate of one more of the crew from the two planes. It reported an additional prisoner of war. The prisoner was identified as George Hawkins. Hawkins was from the Brodie crew aboard Lazy Daisy. In determination of the fate of the two crews, eighteen total men, this report updates the count to thirteen (13) recovered dead, with only seven (7) identified, and four (4) P.O.W.s. This information can be found on page 14 of MACR9753. MACR stands for Missing Air Crew Report. In the mid-air collision on September 28, 1944 between Lazy Daisy and Lead Banana, four of the eighteen men aboard the two forts survived. From the Lead Banana, the waist/flexible gunner, George Edwin Farrar, was the sole survivor. 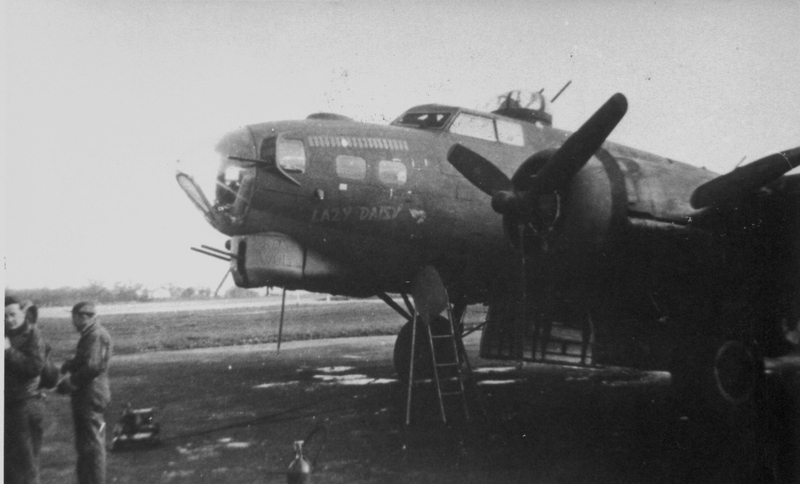 From the Lazy Daisy, the three survivors were the navigator, George Marshall Hawkins, Jr., the tail gunner, Wilfred Frank Miller, and the waist/flexible gunner, Harry Allen Liniger. All four were saved because they were either thrown from the aircraft or were able to exit on their own and then parachute safely to the ground. What would happen to them next, in the hands of the Germans? I was unable to walk and carried to a house, where I spent several days before being transferred to Frankfort, Germany for interrogation and medical treatment. I was later transferred by train and was allowed to sleep in the bottom bunk of the guard’s quarters on the Prisoner of War train. After reaching Stalag Luft IV, I was placed in the hospital there where I could not walk for a total of two months or the latter part of November 1944. At that time, I was transferred to a regular barracks in the prison camp and I could only walk by shuffling my feet as I could not lift either leg to walk. The following evening I met two members of the crew…the waist gunner, Sgt. Liniger, and the tail gunner, Sgt. Miller. The following evening would have been the evening of September 29, 1944, the day after the mid-air collision. I am assuming that Hawkins, Liniger, and Miller had all been captured by this time. This meeting between Hawkins and his surviving crewmates must have been before transfer to the interrogation center. They would not have been able to talk to each other at the interrogation center where they would have been placed in solitary confinement. Hawkins did not comment on the physical condition of himself, Liniger, or Miller. The interrogation facility near Frankfort was known by the POWs as Dulag Luft. 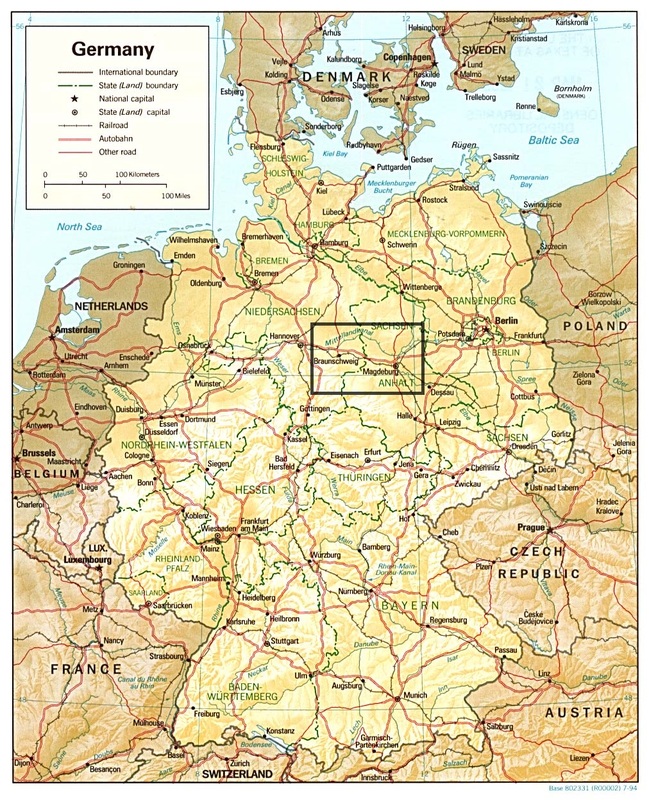 It was located in Oberursel about eight miles from Frankfurt-am-Main. Most captured allied airmen were first sent there to be interrogated before being assigned to a permanent prison camp. After leaving the Dulug Luft interrogation center, the enlisted men, Farrar, Liniger, and Miller were moved to Stalag Luft IV. Their Prisoner of War records all show Stalag Luft 4 Gross-Tychow (formerly Heydekrug) Pomerania, Prussia (moved to Wobbelin Bei Ludwigslust) (To Usedom Bei Savenmunde) 54-16. Hawkins, an officer, was sent to Obermassfeld Hospital #1249 (Serves Stalag 9-C) Obermassfeld Thuringia, Germany 50-10, according to National Archives Prisoner of War records. Were either Liniger or Miller injured in the collision? Were Liniger and Miller placed in the same barracks in Stalag Luft IV? Did they ever see each other again? Farrar spent time in the hospital area of the prison camp, but after being moved to a regular barracks, did he ever meet Liniger or Miller? Was Hawkins seriously injured in the collision? His records show he was sent to a hospital at Stalag 9C.